It’s that time of the year again where love is in the air and we see heart shaped things all around us. With Valentine’s Day quickly approaching that tends to mean a nice romantic date out with your partner, a dinner in for two, or a Valentine’s Day event with all your best buds. With that being said it also means some serious looking for a nice hairstyle to woo your partner with or wow your friends. 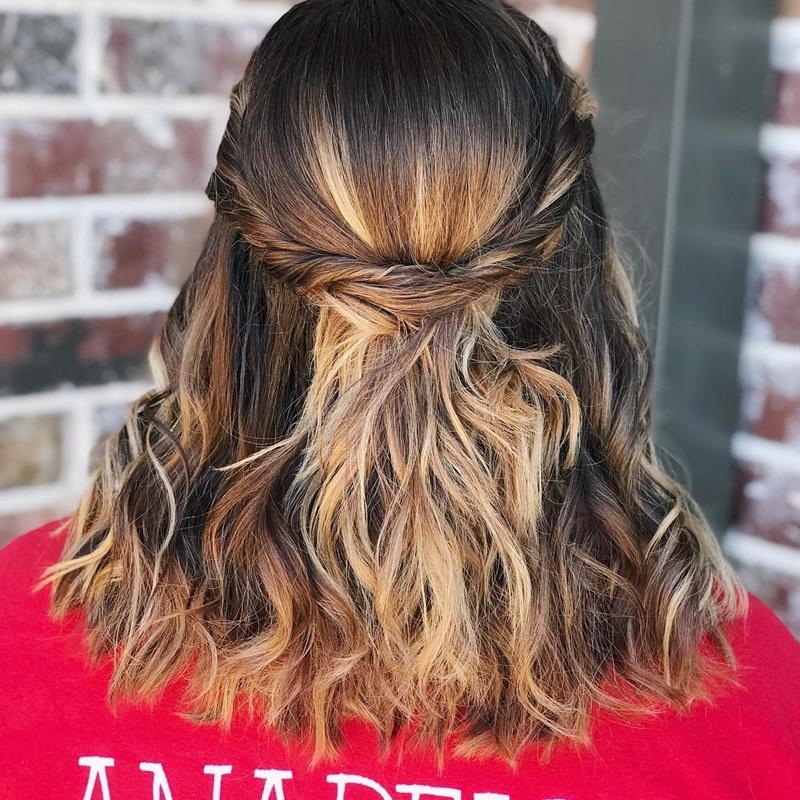 Fortunately for you, we did a little looking and found 25 of our favorite Valentine’s Day looks that you can easily replicate and wear out for a nice day out or fun evening date. 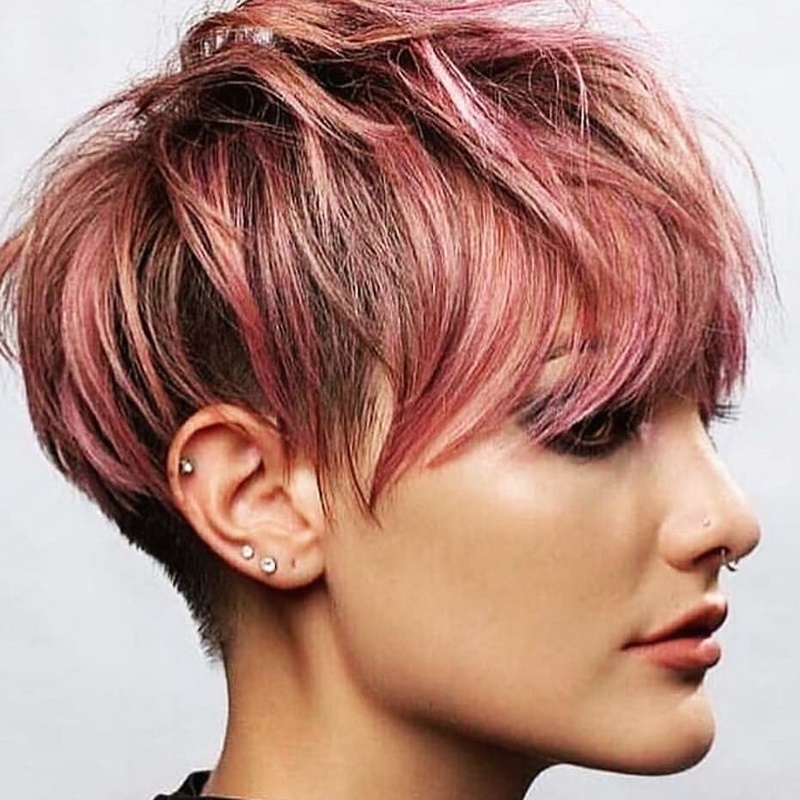 Take your style up a notch by dyeing your hair a beautiful purple or pink color. 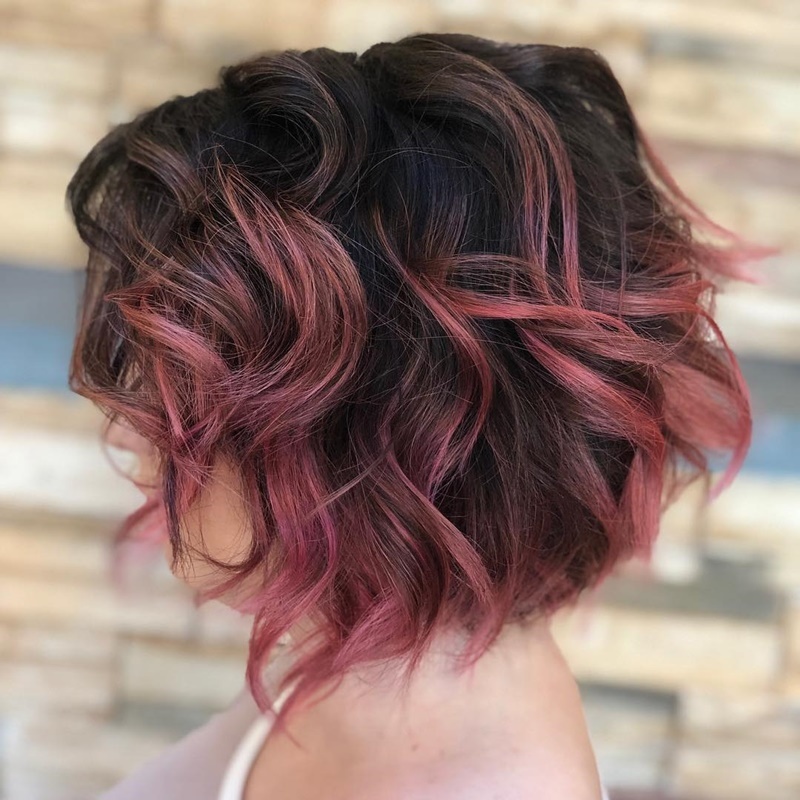 This color is perfect for the holiday and gives you a care-free but romantic feel. By curling your hair you get a beautiful wave and a classy look if you’re going out. Looking for something fun for Valentines day? 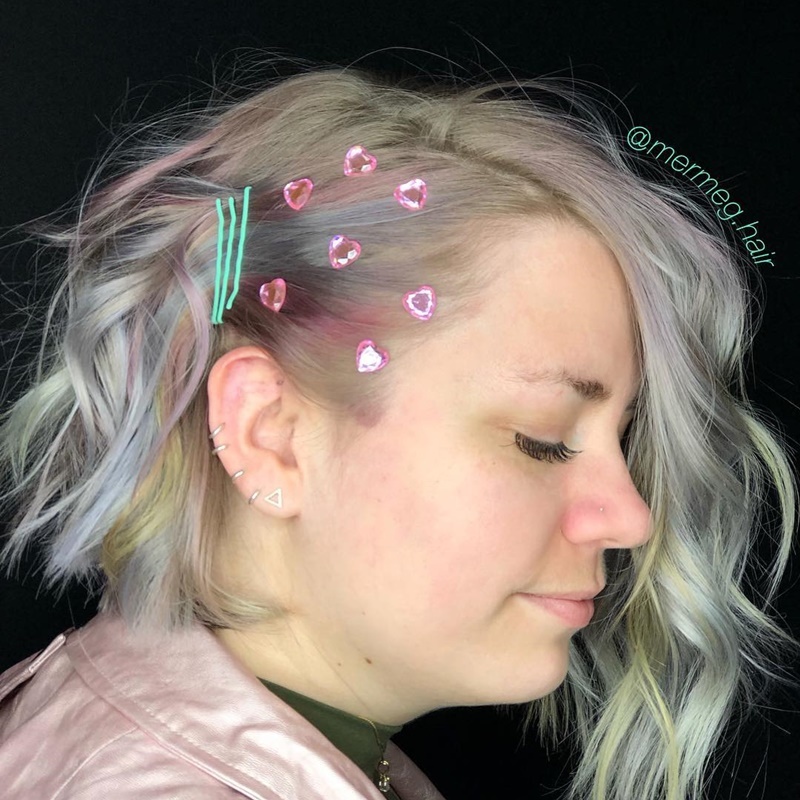 Try adding a few hear accessories to your look to get the perfect Valentine’s Day feel. Pin your hair back to keep it out of your face and curl the rest. 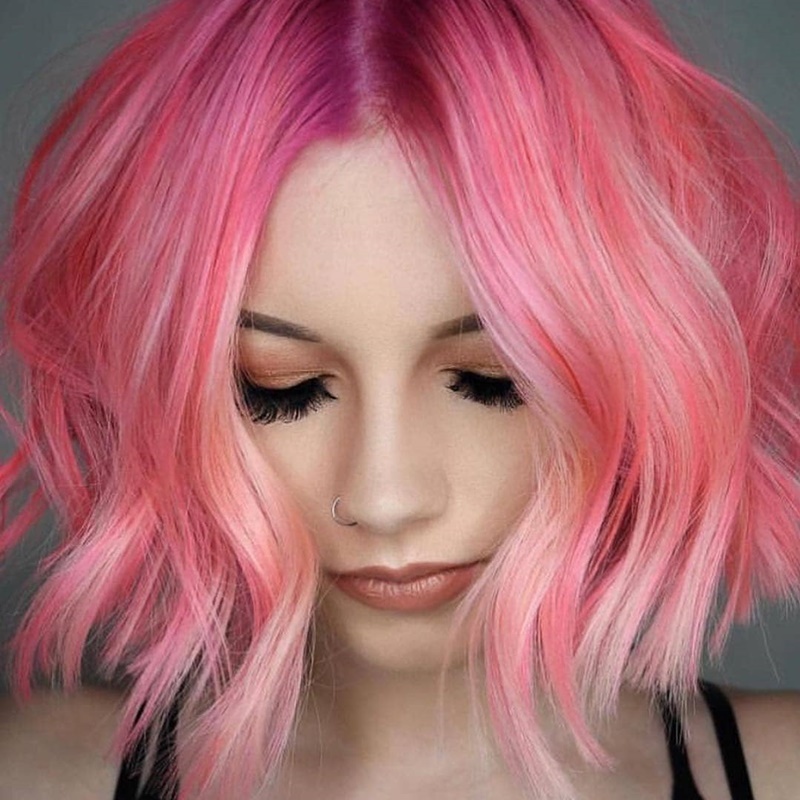 Bright colored hair will turn heads but wears yours in a nice part down the middle. Add a slight wave to your hair to give a romantic look and spray with some hairspray to keep everything in place. 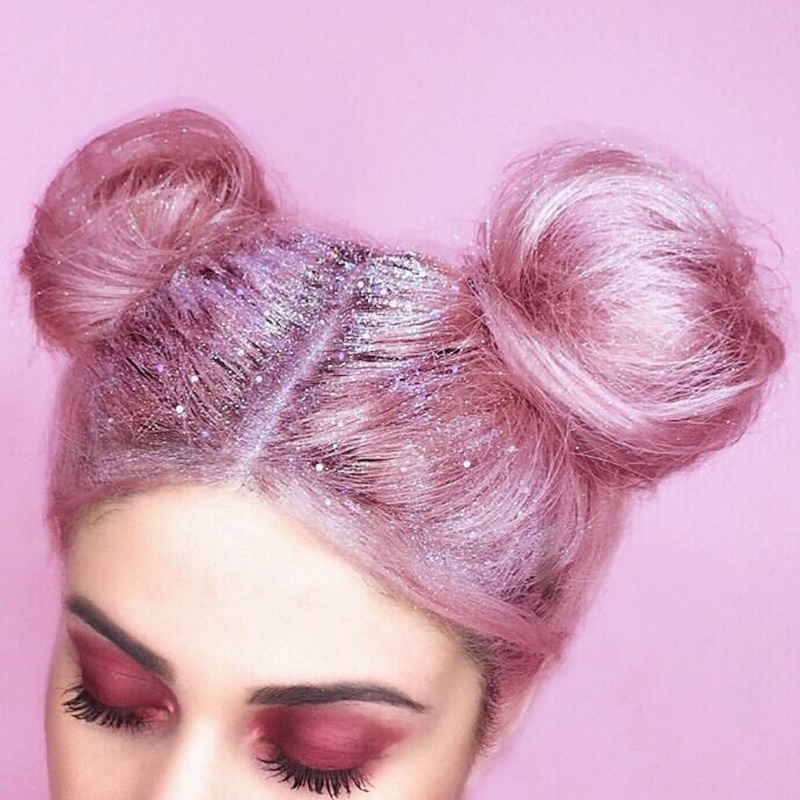 Keep it playful with these fun buns. Part your hair down the middle and roll each side into a bun on top of your hair. 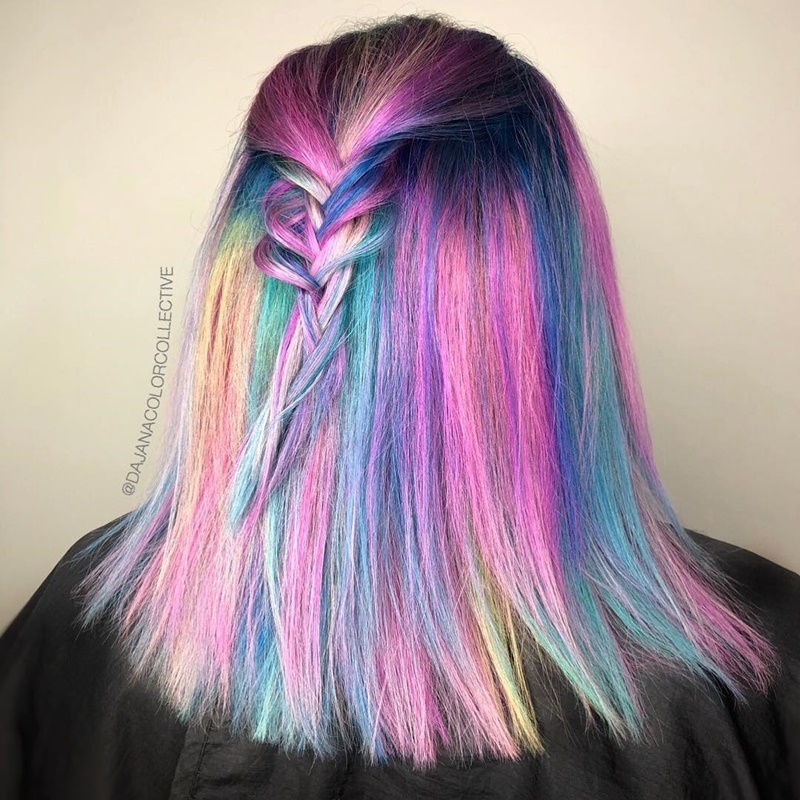 If you really want to add some drama, try some glitter in your roots. 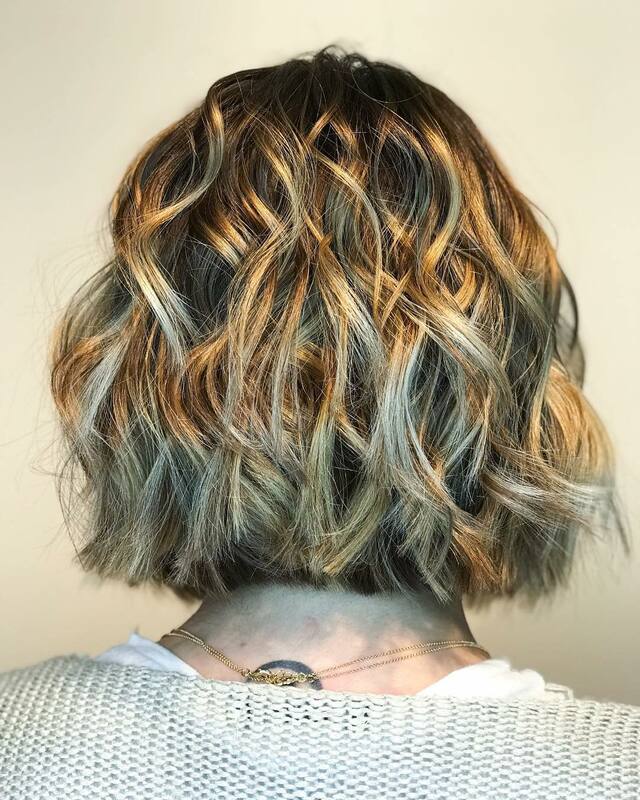 Take your bob up a level by adding some wild curls throughout it. 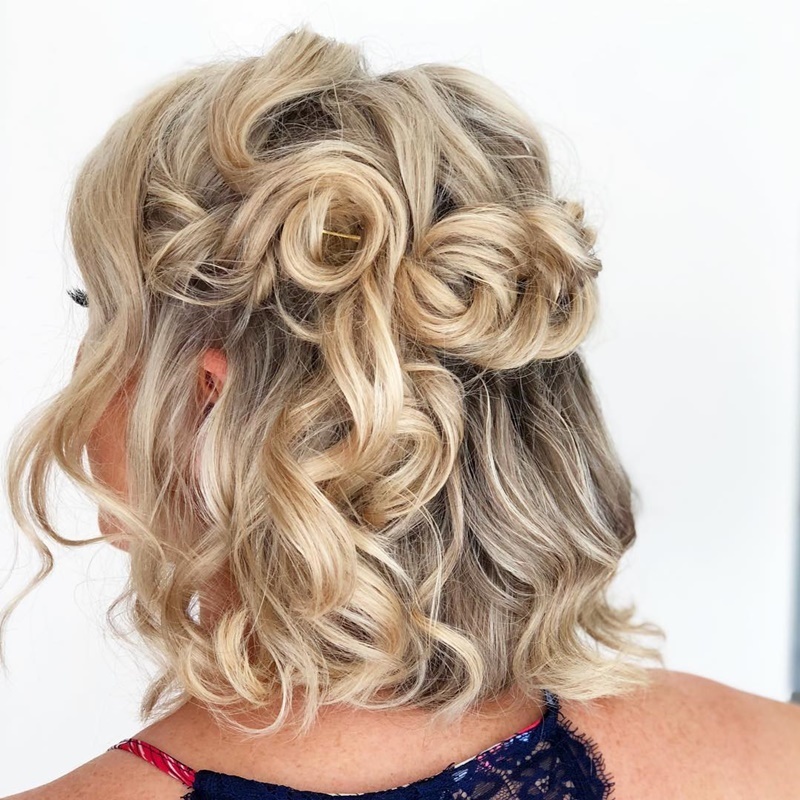 Really work on getting the volume in the back of your head and when you curl your hair, change the direction on the curling iron so your curls go different ways. 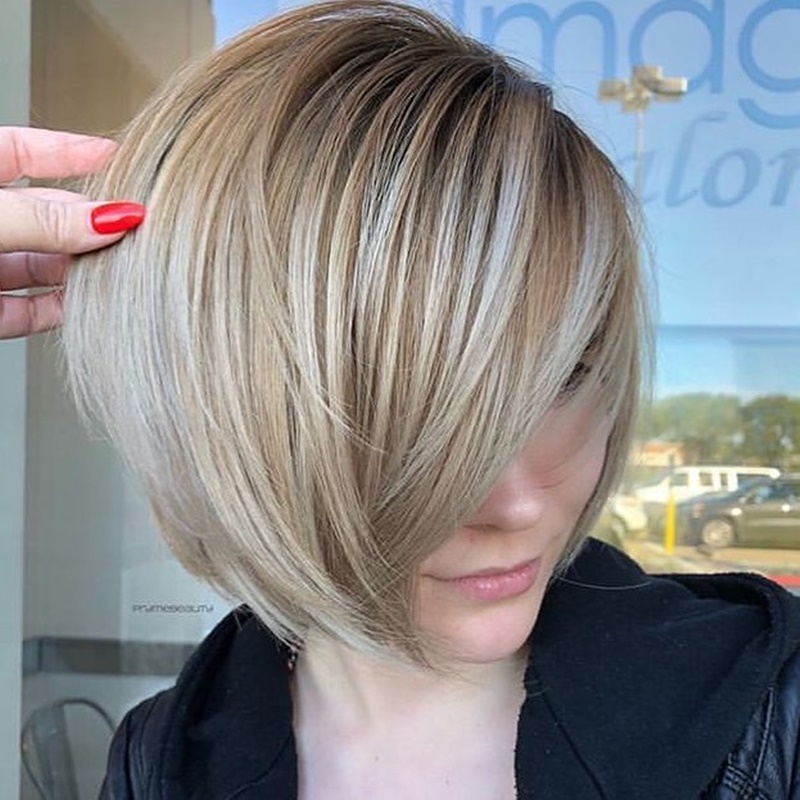 Try going with some soft highlights if you don’t want anything too wild. It adds a bit of light to your look without being overly dramatic. 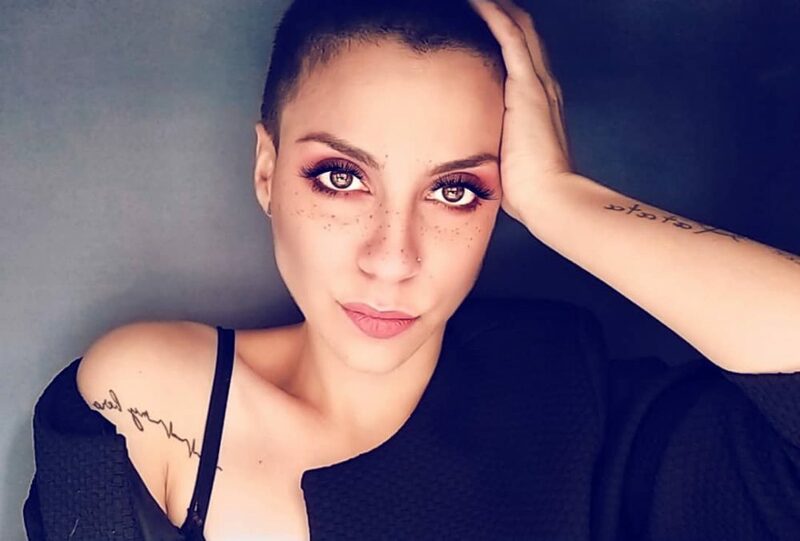 Tousle your locks and add some volume to them with them fun long pixie look. Use a little product to help keep your hair in place, but not too much since you still want it to be loose and free. 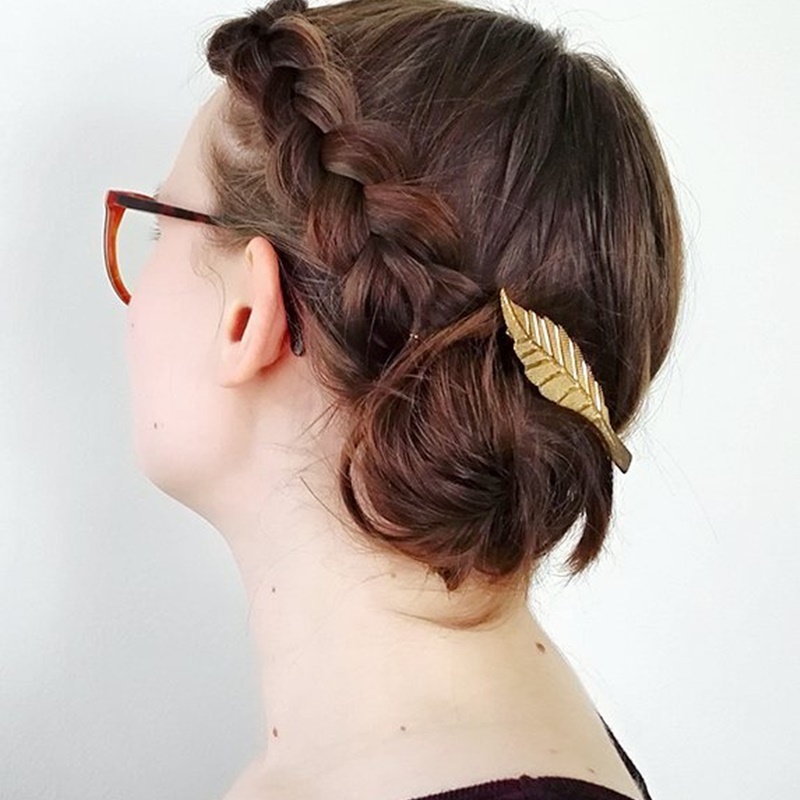 Add a little oomph to your look with a simple braid. Take the front corners of your hair, near your temples, and bring them to the back of your head. 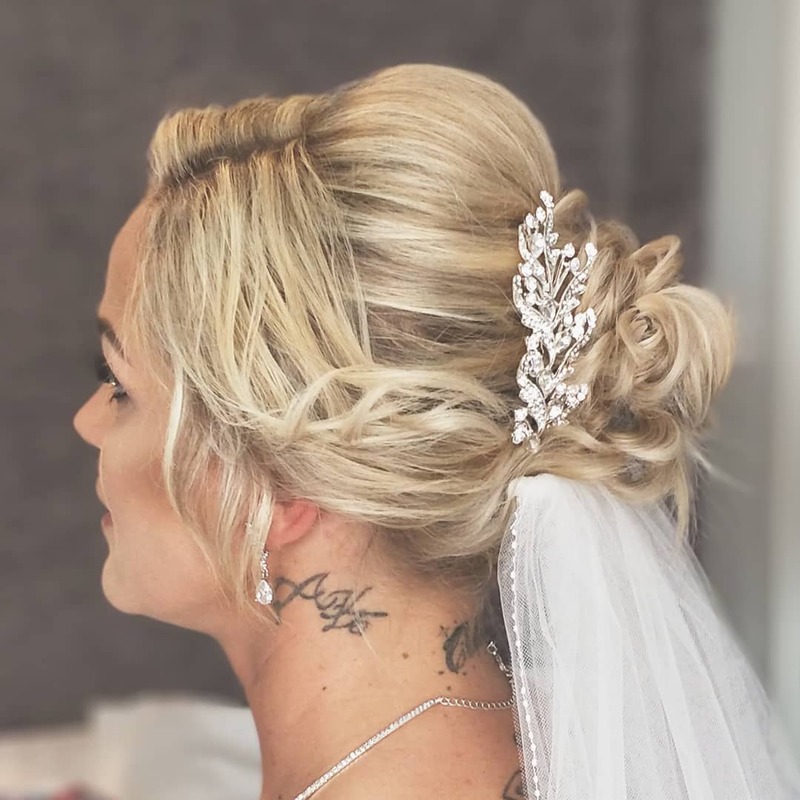 Create a small braid and secure with a band. You have an easy and effortless look that is perfect for a nice date out. If you want something quick and easy, go for this half bun. 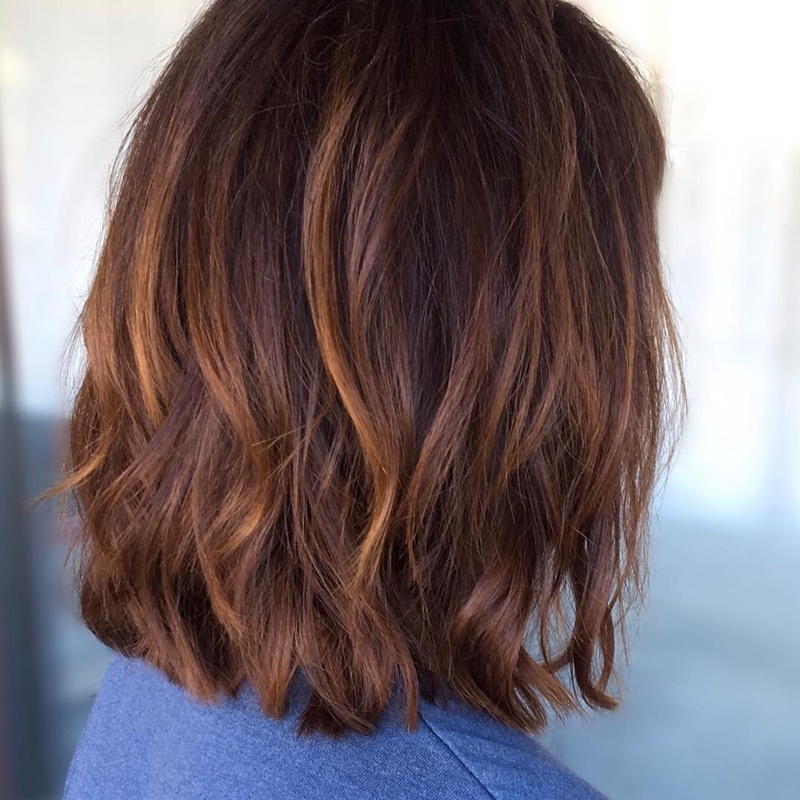 The style looks amazing and is really easy to do. You can class it up with some accessories as well to really bring it home for Valentine’s Day. 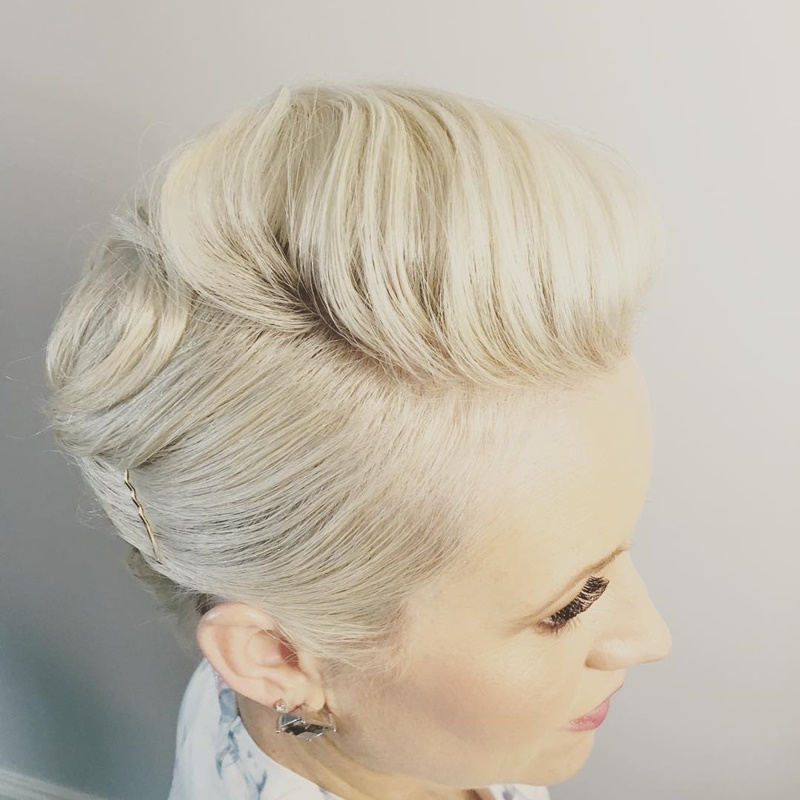 Take your pixie to a whole new level with this unique micro braid. Create a deep side part to one side and weave a mini braid at the part. 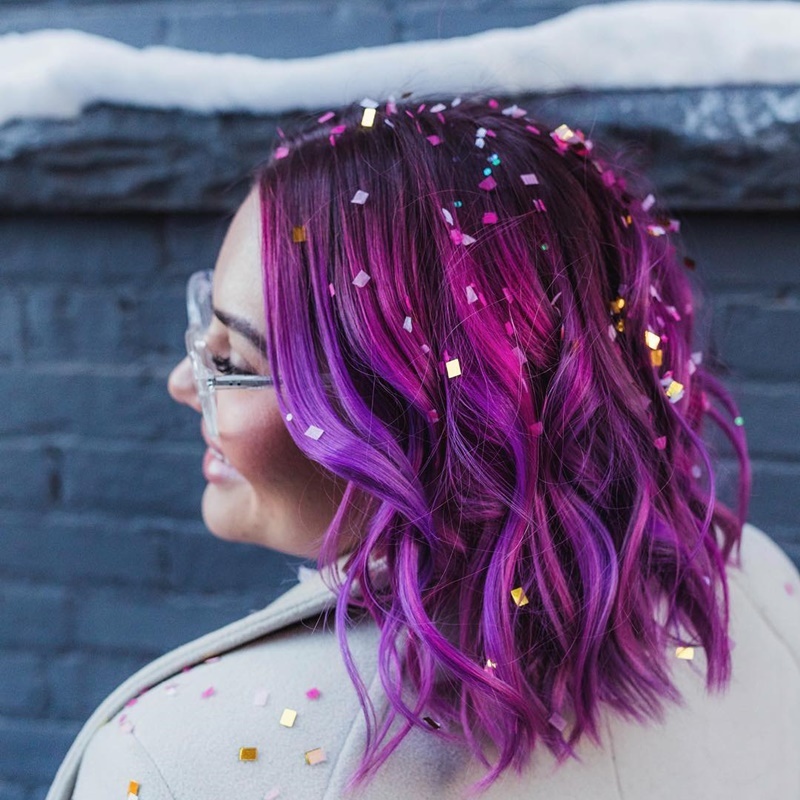 Curl the rest of your hair and give yourself a ton of volume for a fun, funky look. 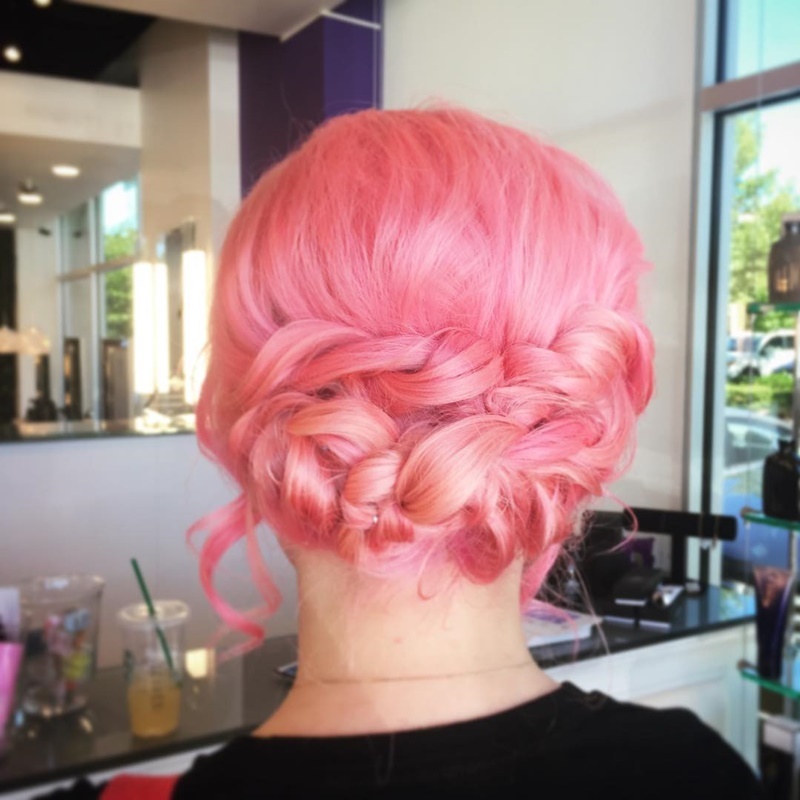 Just because your hair is short doesn’t mean you can’t rock a gorgeous updo. Try this one out but curling all of your hair and then pinning it in the middle of your head with some bobby pins. Headbands can really turn a hairstyle into something new. Grab one of your favorites and wrap it around your hair to give yourself a romantic look. 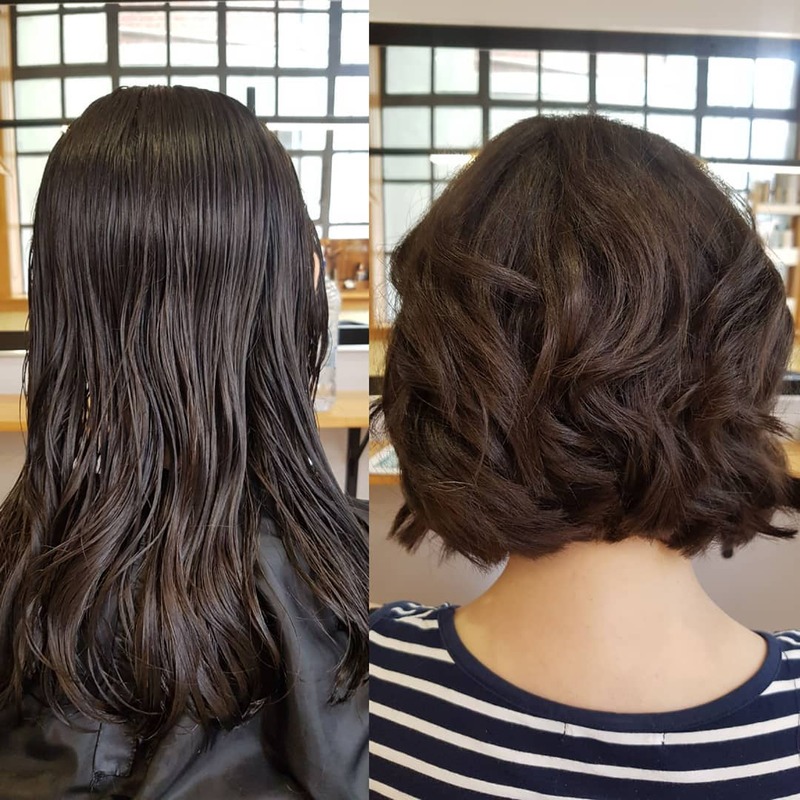 You can curl your hair or leave it straight. If hair isn’t your thing but you still want a nice style, try this twist out. Take two pieces of hair and twist them to the back. Cross them over each other and pin them so the twist stays in place. Curl the rest of your hair and that’s it! 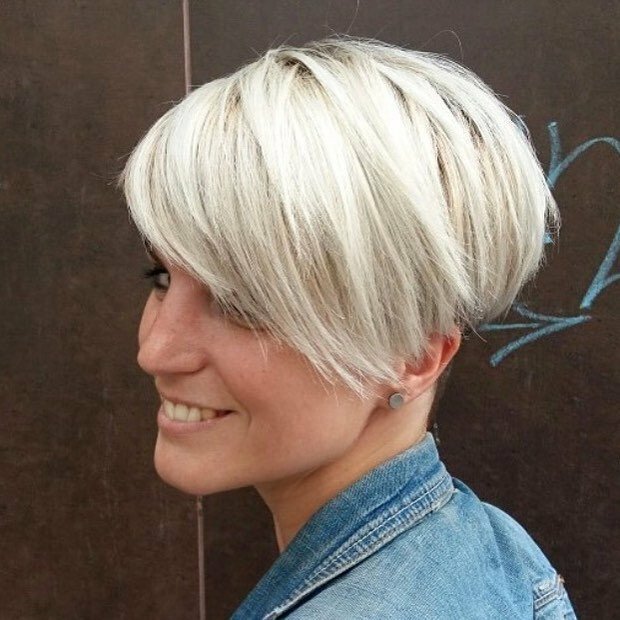 Grab your blow-dry and give yourself some volume with this pixie. 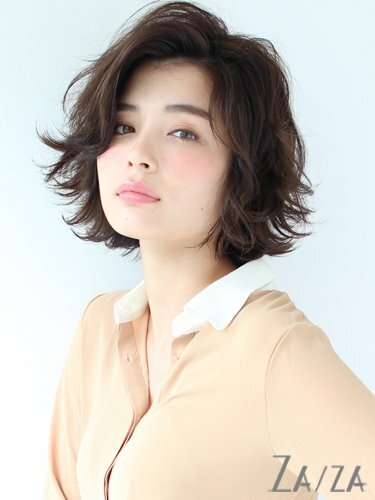 Take the front of your hair and add a lot of volumes so the top poofs up. Pin the rest of your back to show off your facial features and you’ll have one hot hairstyle for the night. This one is perfect for someone who is looking to go simple. Curly your hair and pull some of it to the back. 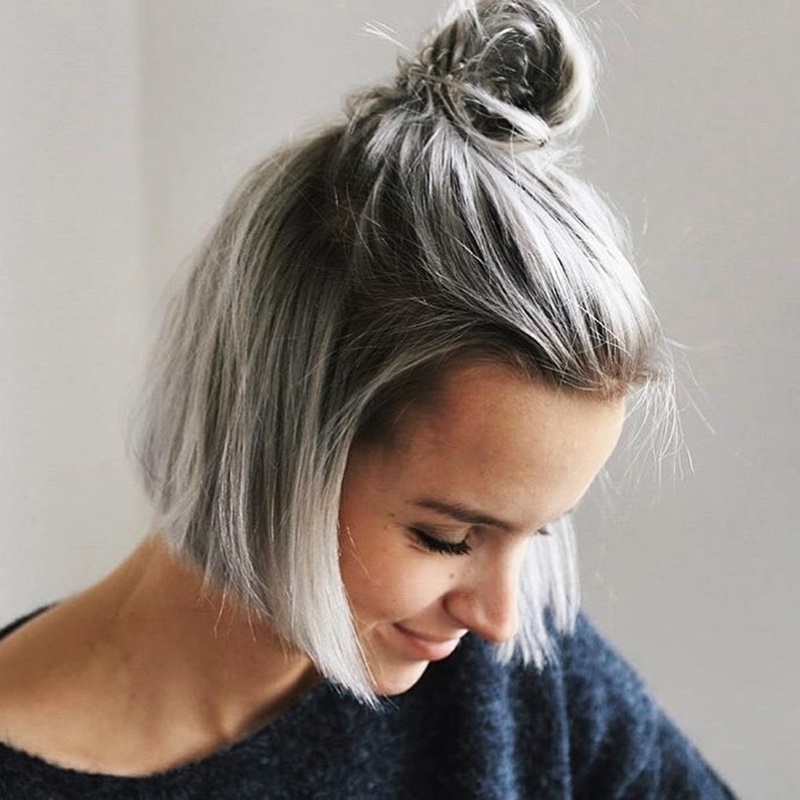 Pin our hair at the back of your head and pull a tiny bit of hair out to give yourself some volume. If you’re rocking a mohawk or pixie then try this braid out. Braid the front of your hair, take it from one side to the other and pin it under some of your hair. 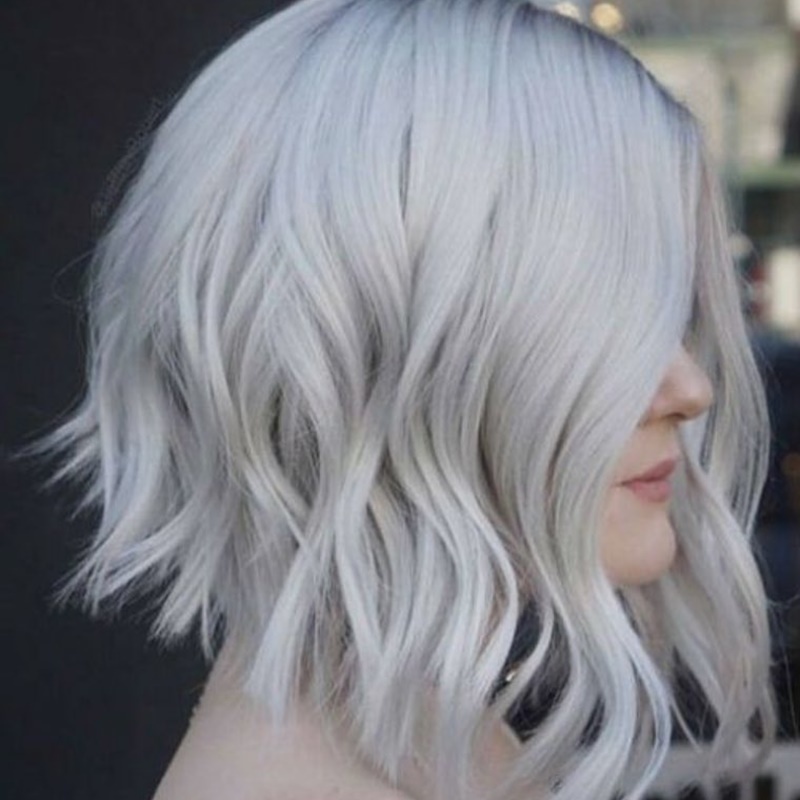 Give the rest of your hair a lot of volumes and if you want you can curl it for some texture. This braided knot looks beautiful and might be complicated to do but worth it. 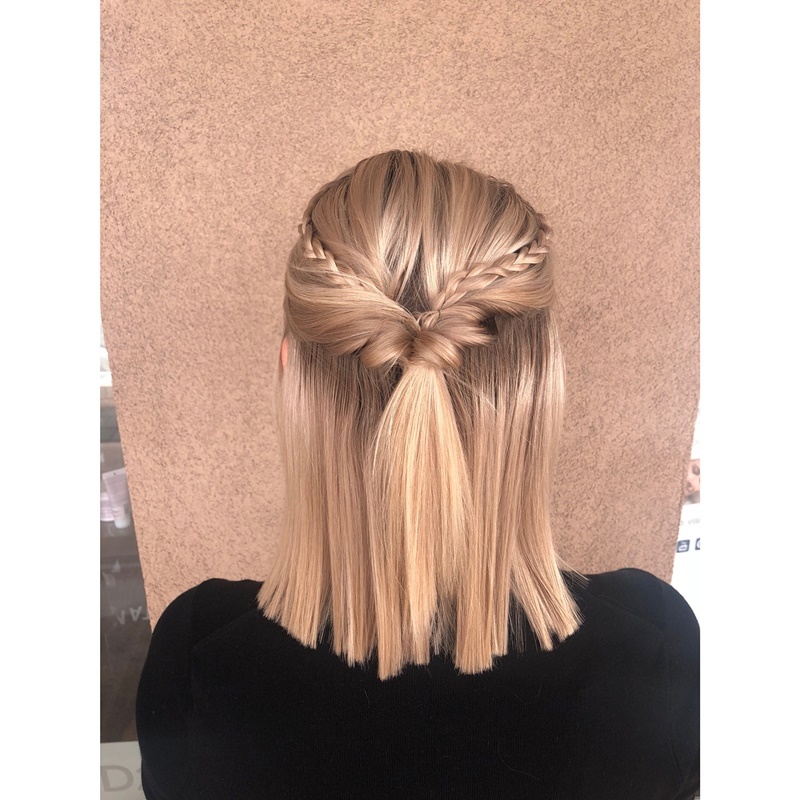 Leave your hair straight so the braid and knot get all the attention for this style. 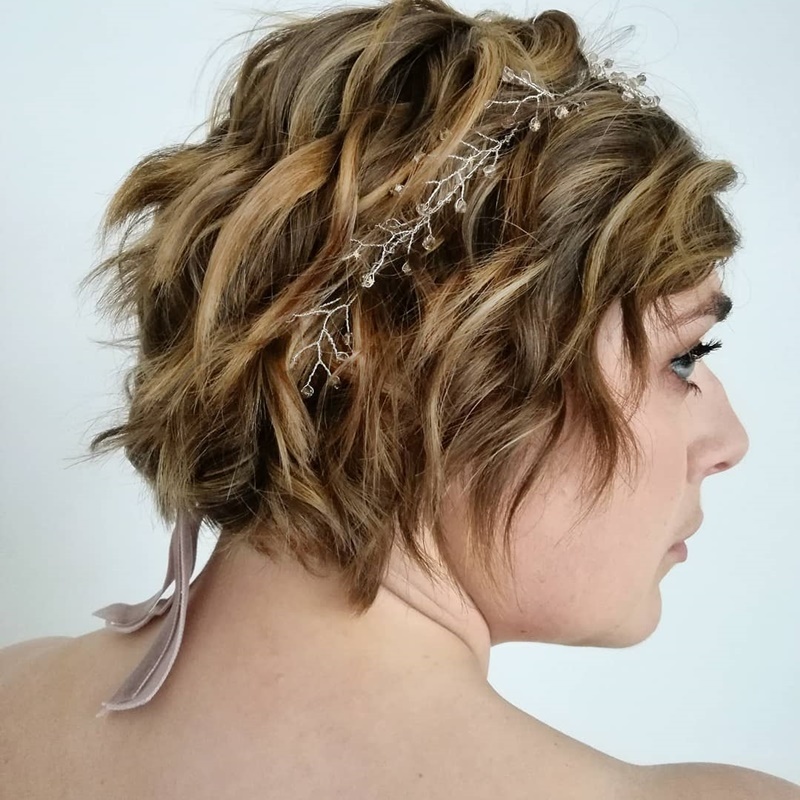 Create a crown around your head with your own hair. Curl your hair and take some of those curls and wrap them into circles. Pin them around your head like you’re wearing a crown, and that’s all you need to do. 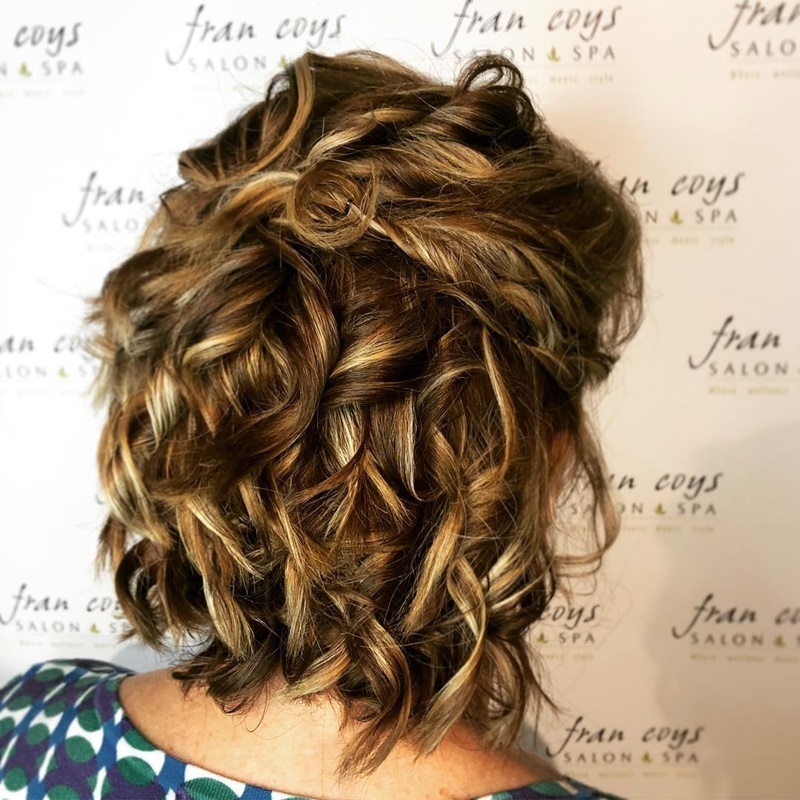 If you want your hair off your shoulders then try out these French braids. Simply braid your hair into two strands and then pin them on top of each other. 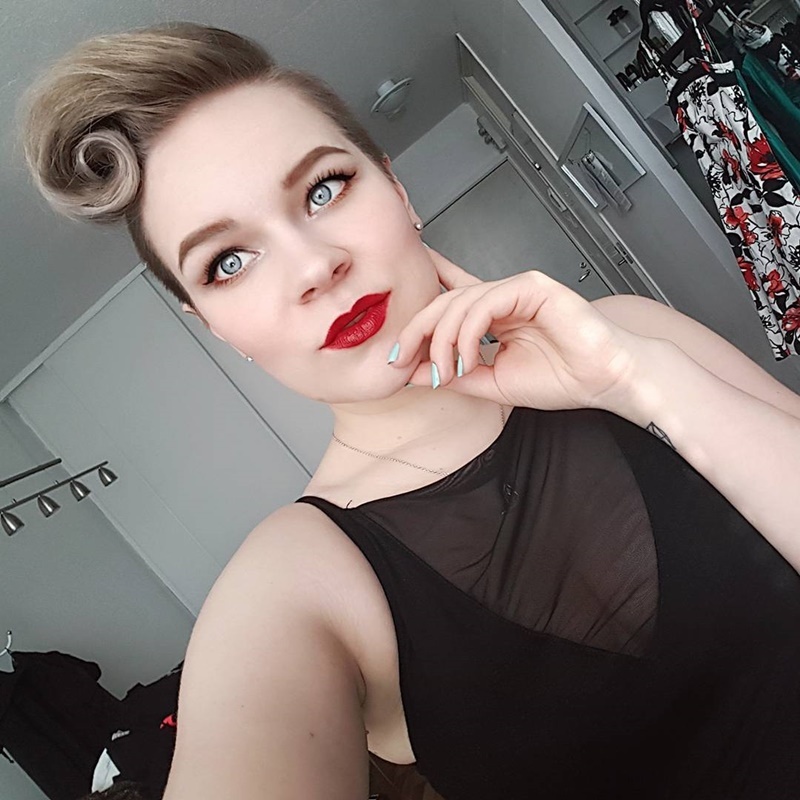 Vintage looks can be super classy and look great on anyone. Try this one here where you curl the front of your hair and give yourself some maximum volume. 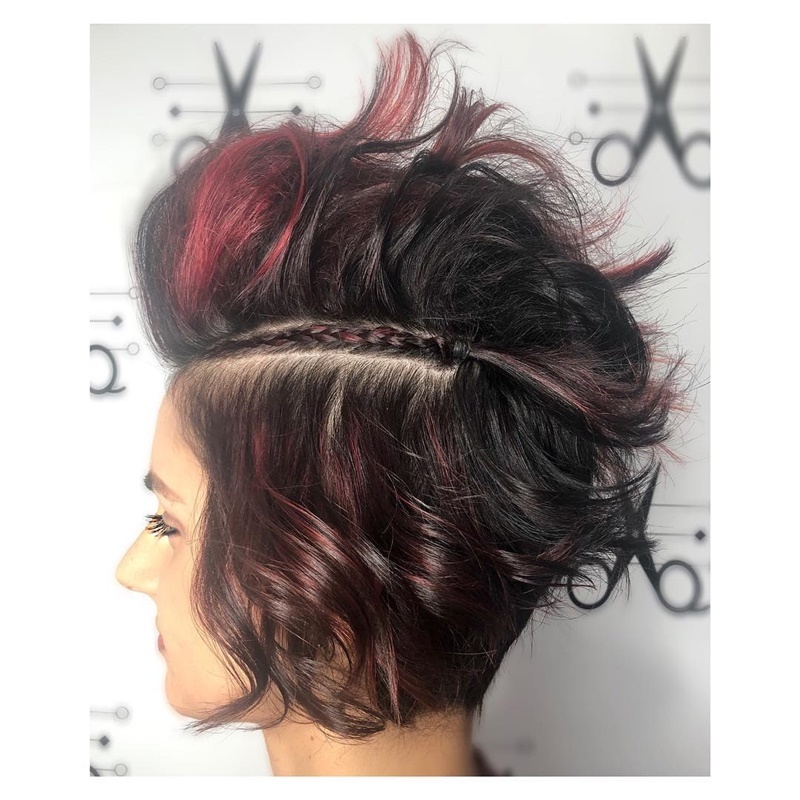 Give your mohawk a lot of volume with this stylish look. Add a little bang with a cute braid on the side and use some hairspray to keep everything in place. 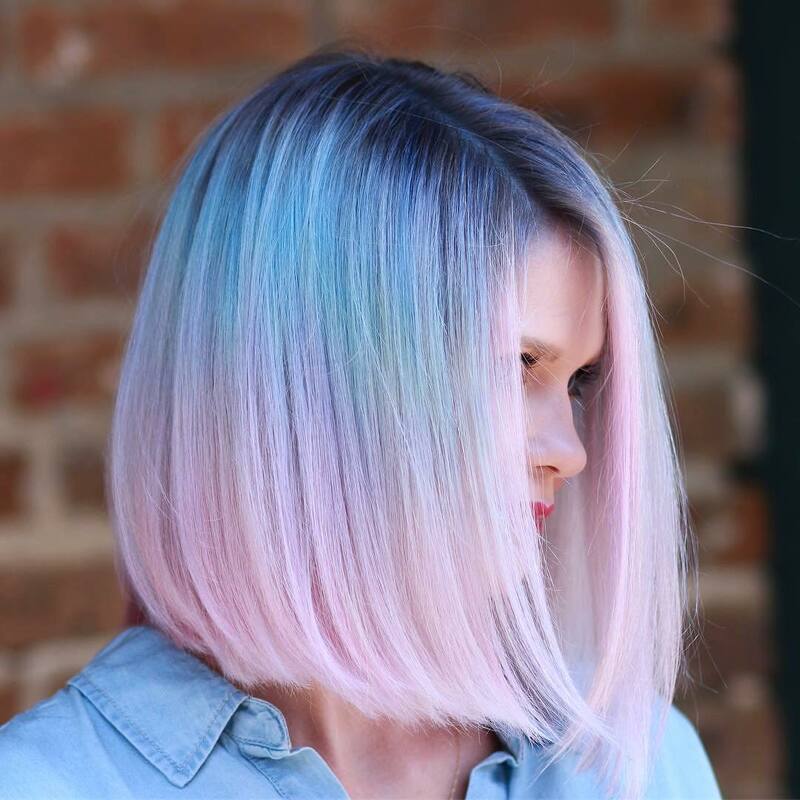 If you don’t want to fuss too much over your hair then give this look a try. 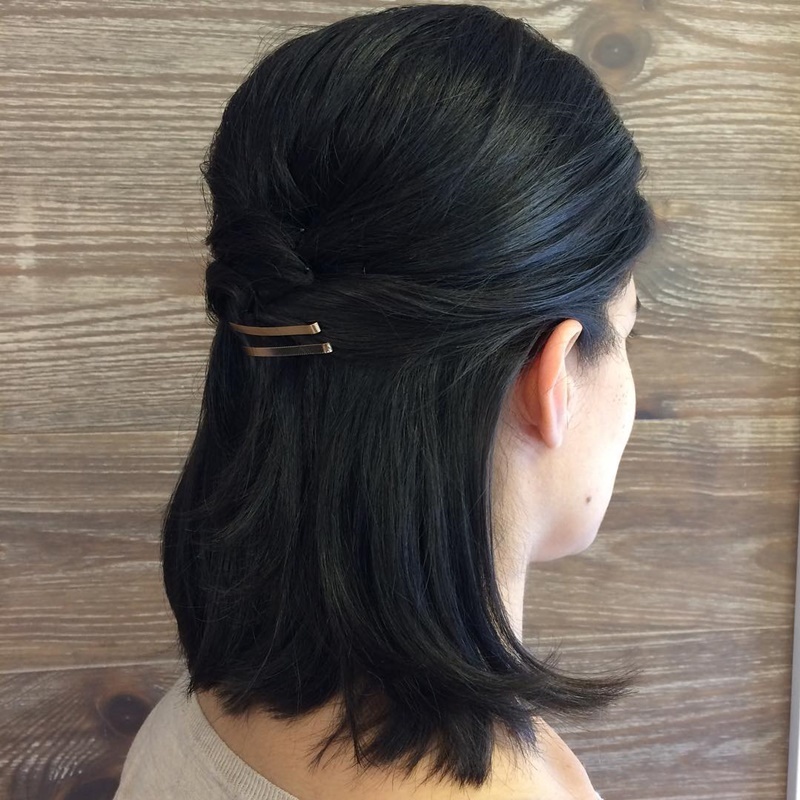 Pull your hair back and secure it with a nice clip. 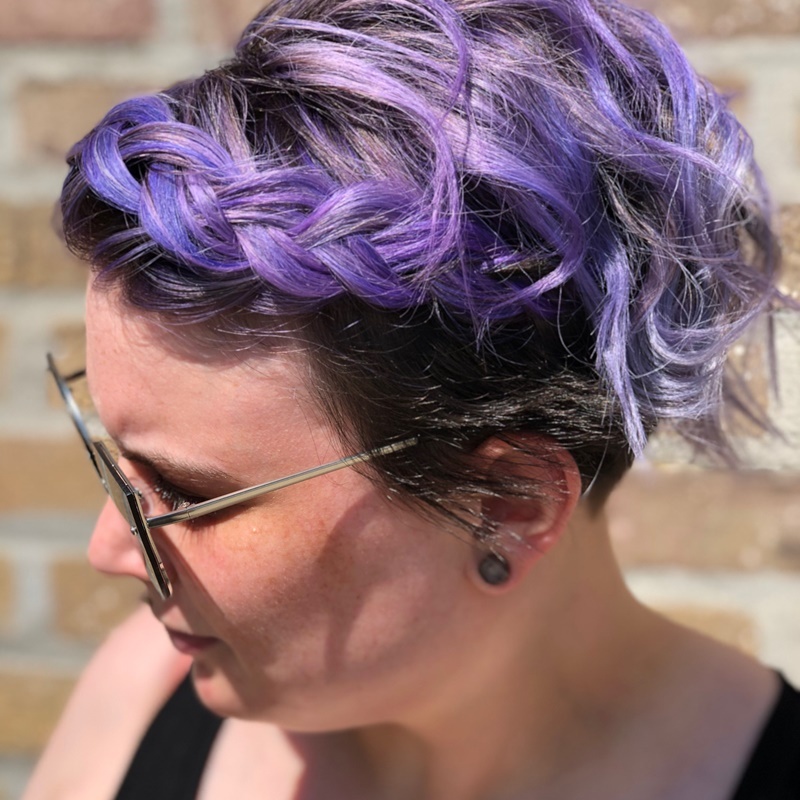 Give the crown of your head some volume but keep everything straight and sleek. The style looks easy and simple. 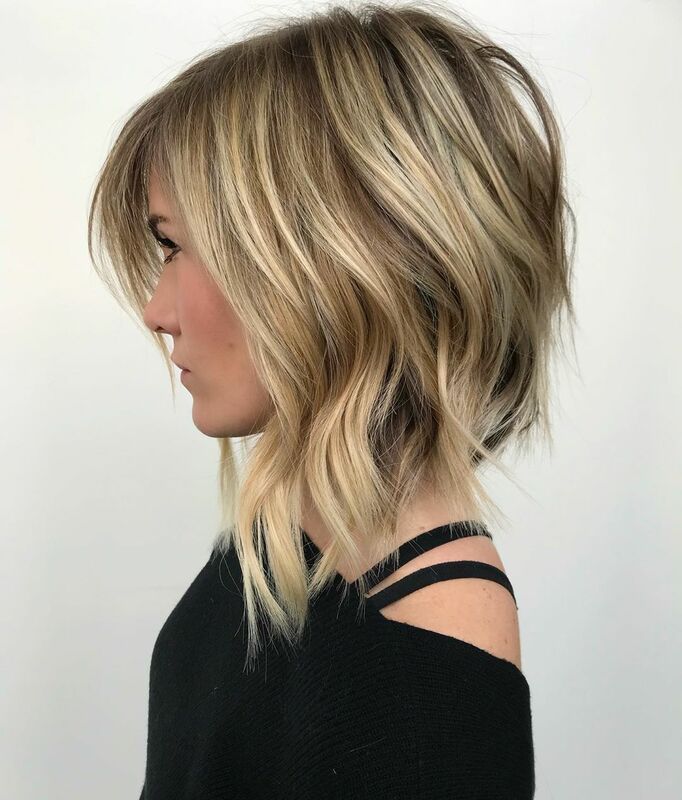 Give your hair a unique cut with this asymmetrical look. 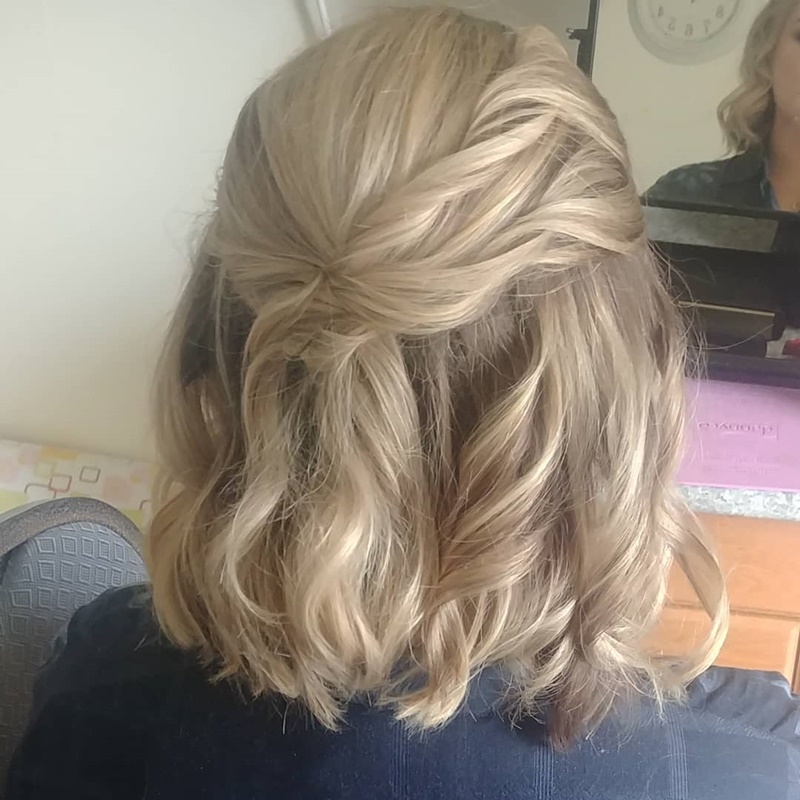 The front is long but the back is short and off your neck. 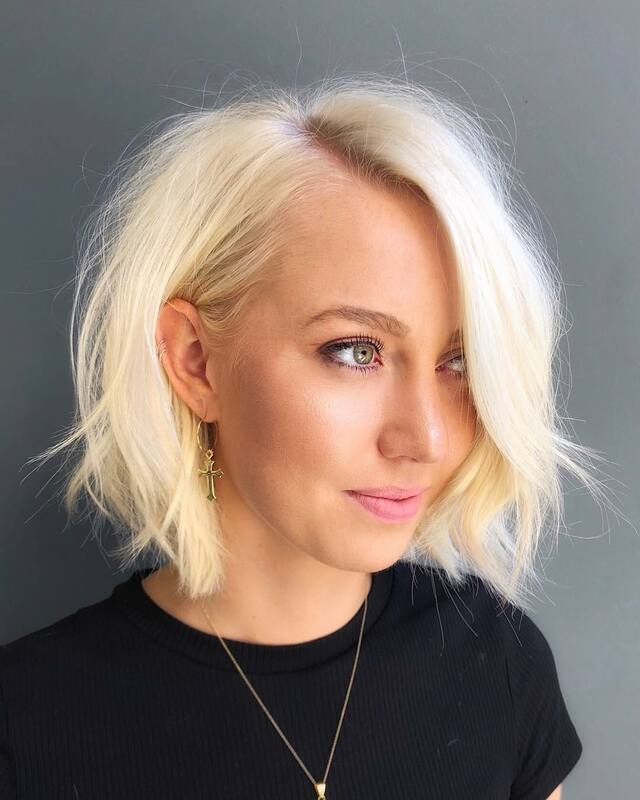 Keep your bob nice and simple with this rounded look that is super sleek and straight. 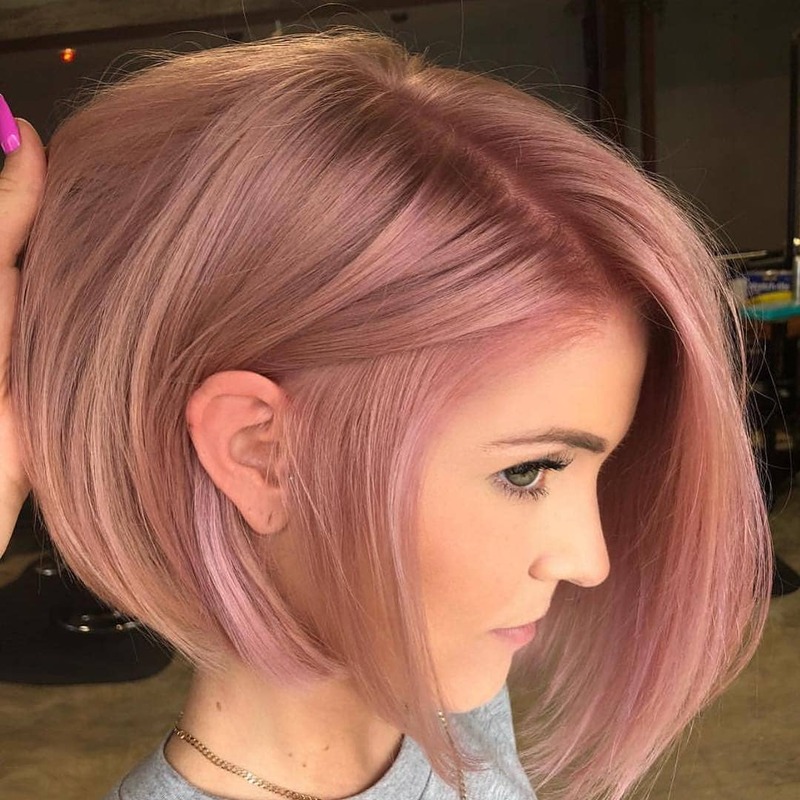 With all these ideas your hair is sure to look fabulous for Valentine’s Day.